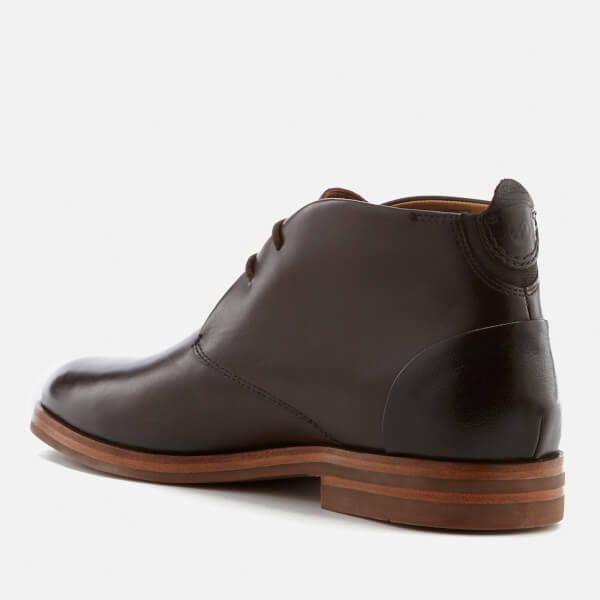 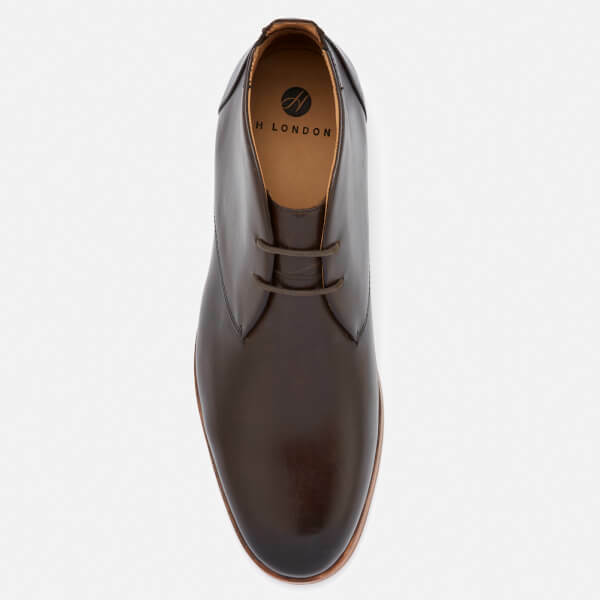 ‘Matteo’ brown leather chukka boots from from contemporary footwear label Hudson London. 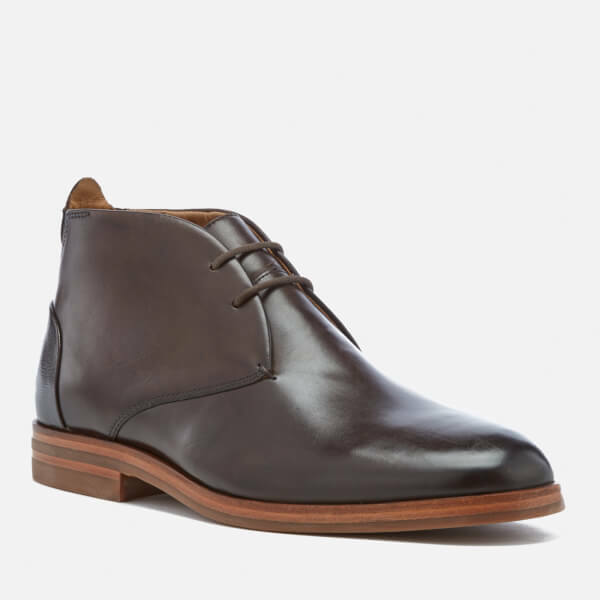 Expertly constructed from smooth leather uppers, the desert boots feature classic design traits including a waxed cotton lace up fastening, punched eyelets and an open-stitched vamp. 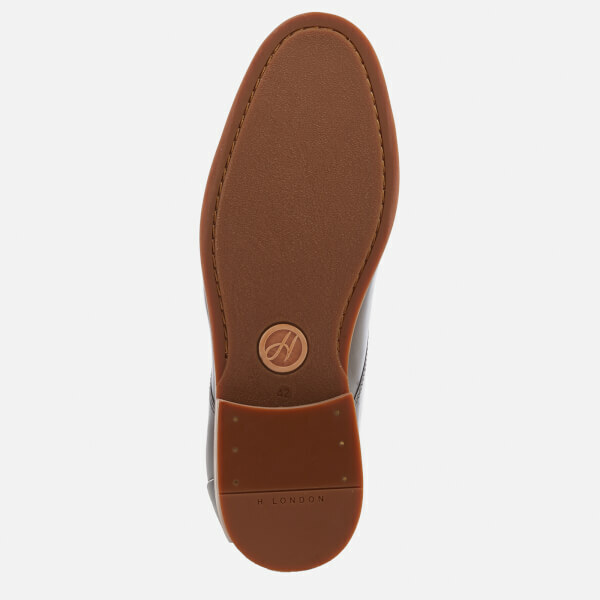 Set upon a comfortable calf leather lining and durable rubber outsole with a small stacked heel. 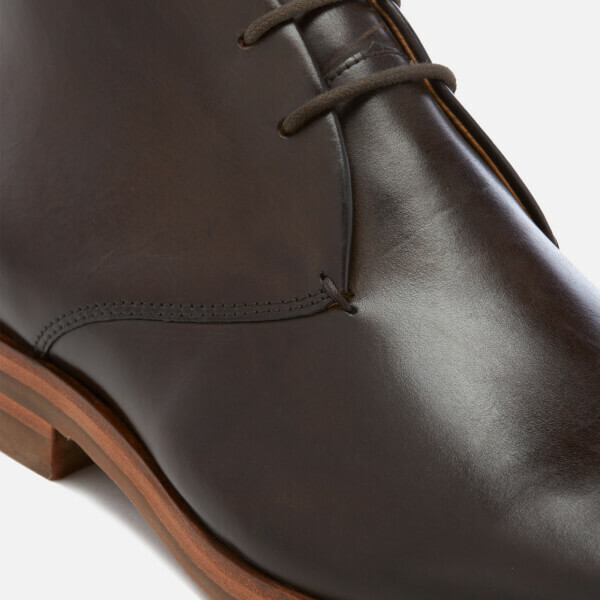 Finished with contrast leather panelling and an elasticated gusset to the heel.